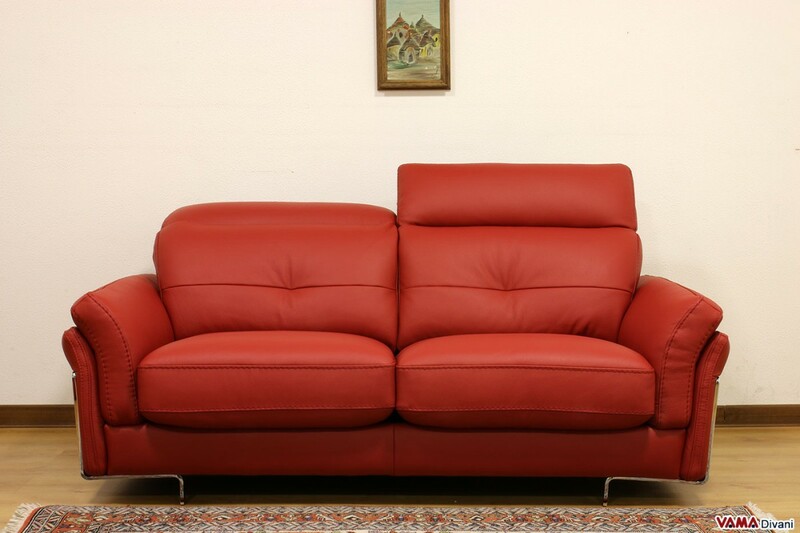 Contemporary sofa, a piece of furniture characterised by a stylish and clear design, rich of delightful details such as its bold polished steel supports and its thick thread seams that enhance its leather upholstery. Convenient and comfortable, it offers practical and adjustable headrests. 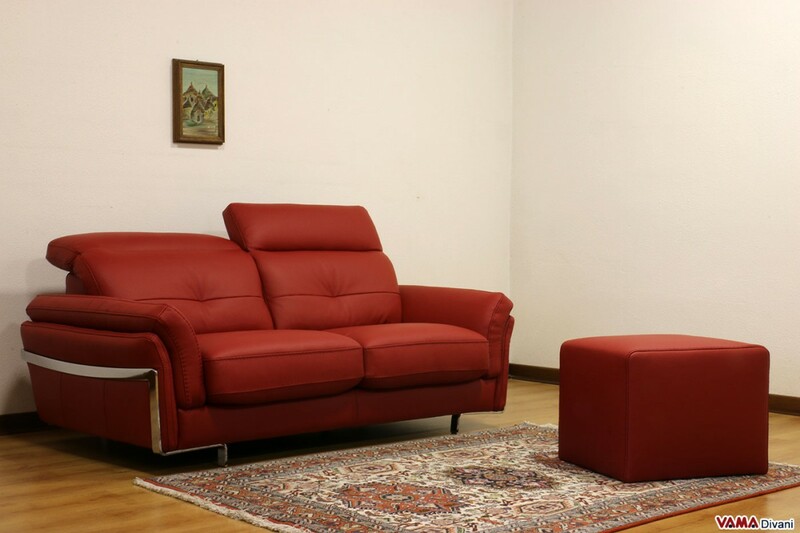 A contemporary leather sofa which can be realised even in other custom sizes. 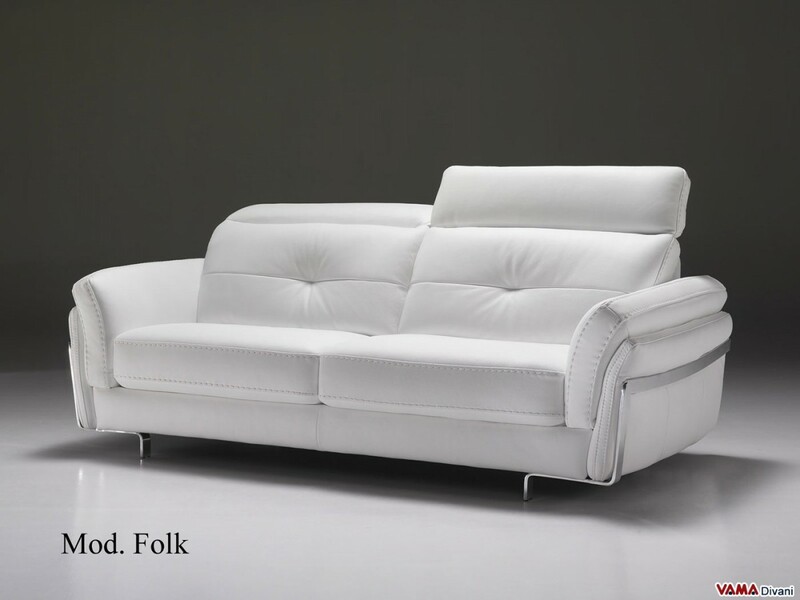 Folk is a contemporary sofa featuring great elegance that can enrich, with its very nice design, both rooms furnished in a classic style and purely modern ones, even being designed and realised to be part of the family of our contemporary leather sofas. 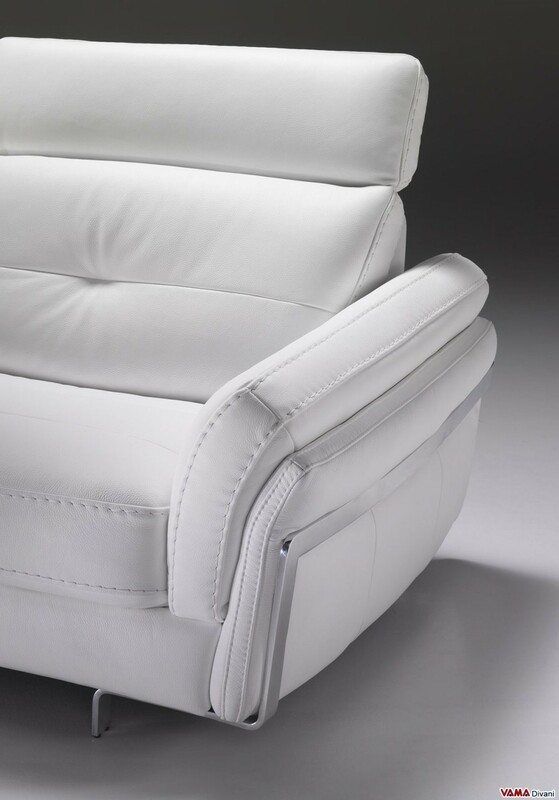 Entirely upholstered in high quality white leather, this sofa presents some stylistic quite unusual details, while maintaining a very simple design, such as its exposed thick thread seams and its bold polished steel supports that surround its arms. 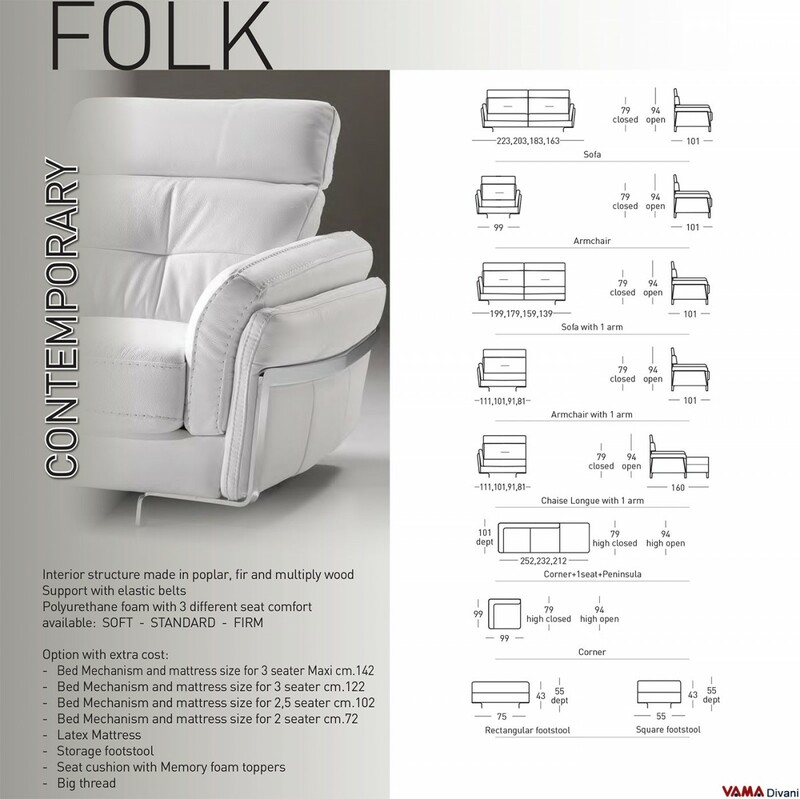 Even in terms of comfort, the Folk sofa can provide greater comfort thanks to its soft padding and its reclining headrests. 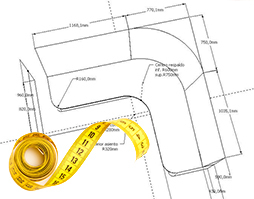 This product, however, can be easily realised in other sizes, as we are an artisan company that manufactures custom sofas which meet all the needs and requirements of our customers.